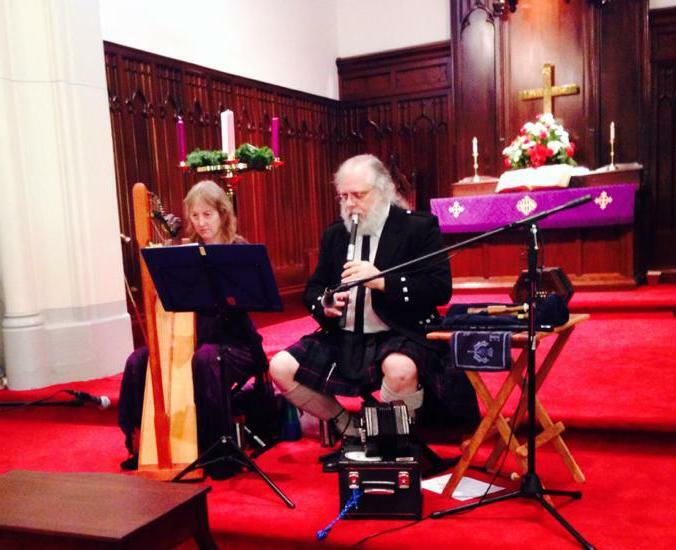 Jo, with her duo, Port Righ, have been doing Celtic Christmas programs for churches and other venues for many years. We have several programs of our own put together that we can do as is, or we can fit various carols into a program you might have in mind. Our Celtic Christmas services feature music, usually focused mostly on the Advent season, with a few familiar Christmas carols included. Some of the repertoire is actually of Celtic origin, but all of the tunes and songs feature Celtic instrumentation, and some can include sung Gaelic verses. 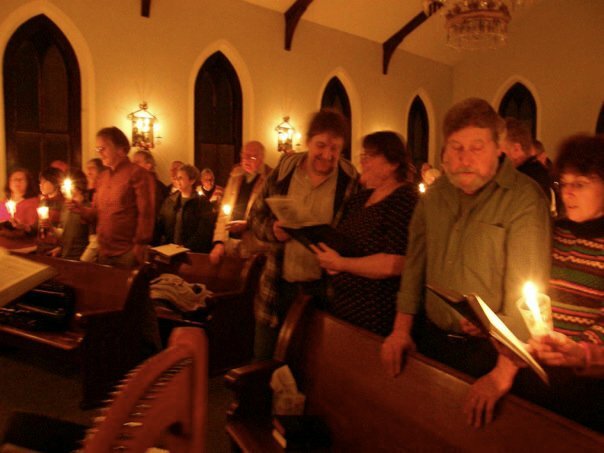 Congregational singing is included on several hymns, if desired, and the service often ends with singing Silent Night by candlelight. We have a wide variety of carols available to draw from, but we will also consider requests. Between the music are various readings from scripture that highlight the meaning of the season, plus references to Celtic traditions and appropriate prayers. We can tailor these services to meet your specific desires and needs. The fee for these services starts at $250, depending on location, details, etc. Please contact us for information on availability and a price quote. Christmas Eve services start at $500. My triharpskele logo is by Amanda Fisher, Pixelations, Inc. The triharpskele logo is Copyright © 1998 Jo Morrison and Amanda Fisher, All rights reserved. The triharpskele logo may not be used without permission. This web page is Copyright © 2015 by Jo Morrison. All rights reserved.